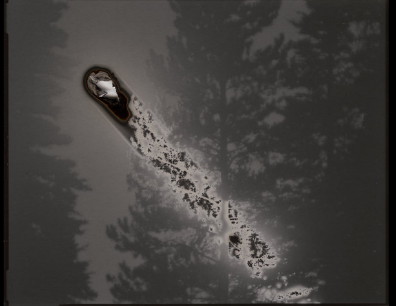 Using black and white print paper instead of negative film in his self-made large-format cameras, photographer Chris McCaw is able to track the sun's movements across the sky by exposing the film to long periods of direct sunlight. McCaw leaves the camera open for 2 to 8 hours of sun, which scorches and burns the paper in some cases, creating highly solarized images and incredibly awesome patterns and haunting effects. Besides being visually stimulating, the photos are a nice reminder to wear sunscreen.